Fenix is trendy, modern and easy-to-use blog WordPress theme with flexible and responsive layout. 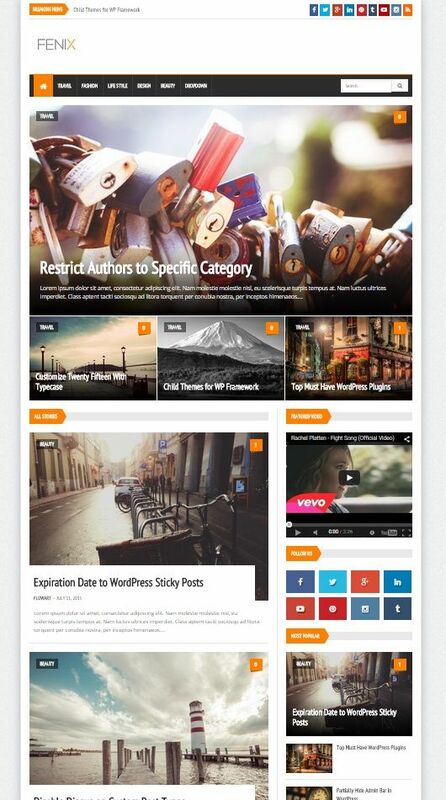 Theme is perfect for all blogging, lifestyle, design, art, styling, fashion, decoration, interior or personal websites and includes lots of features like Drag & Drop page builder, unique page builder blocks etc. NEW FEATURED: FFixed Navigation Menu.